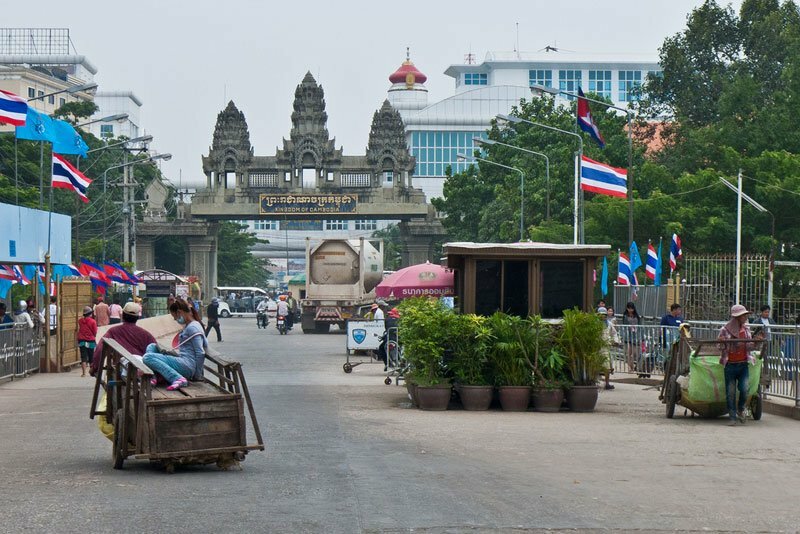 While last month’s military coup in Thailand, which toppled the democratically elected government, may be a cause for concern to the international community, it’s reportedly been a huge boon to the small Cambodian gambling town of Poipet, just across the border. Poipet has always been a popular destination for the people of Thailand, where gambling on anything other than domestic horseracing and the national lottery is illegal, despite a general enthusiasm among the populace. 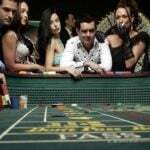 However, the new military junta’s authoritarian crackdown on illegal casinos and gambling dens in Thailand is directing the former customers of those unfortunate establishments eagerly towards the table games of Poipet. 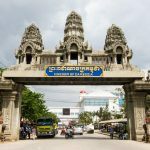 Cambodia itself has a (loosely enforced) no-gambling policy but, fortunately for everyone involved, Poipet’s casino strip, which contains nine smallish casinos, is cunningly situated in a kind of gambling no-man’s-land between the Cambodian and Thai passport control counters. The influx remains something of a surprise to the Poipet operators, however, because in the days following the coup they reported that the number of visitors to the town had dropped dramatically. At the beginning of June, managing director of Crown Resorts Kim Ledaro (unaffiliated with the Australian gambling empire; we checked) told the Phnom Pen that the daily average of Thai visitors had fallen by 40 percent from the previous month. We can’t really blame the gamblers for fleeing in droves. Just this week, the junta announced that, in the name of “establishing social order,” it had arrested 1,677 people, including four “foreigners”, for the crime of betting or running a book on the World Cup between June 9 and 21. It also claimed to have shut down 675 illegal gambling websites. 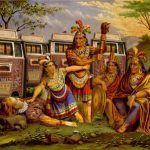 Earlier this week, authorities swooped in on a big illegal casino before it had even opened to the public. Police confiscated 27 baccarat tables, 1,000 packs of playing cards, and chips worth $89,000 from the “Number One Casino” in Bangkok, and arrested 37 people, 23 of whom were Cambodians. Many of the illegal casinos in Thailand have long been protected by the police, and in many cases local police chiefs have been relieved of their duties. 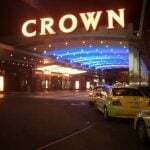 Scores of illegal casinos have also been shut down elsewhere, some by accident. The junta’s strict prohibition of public protest has resulted in regular raids in search of high-level opponents to the coup; one such raid, by 100 soldiers on a hotel basement, uncovered a casino operation rather than a den of sedition. It seems the gamblers had received prior warning, however, and had fled. Good for them. Maybe they all went to Poipet!